Just wanted to let everyone know that we're moving forward with the switch over to Xenforo by the end of the month. While some people may not like this change, I can assure you the new software is going to be so much faster and more secure than what we are using now. Not to mention you will experience much fewer page errors and downtime with the new software. If you guys have any concerns please feel free and PM me. 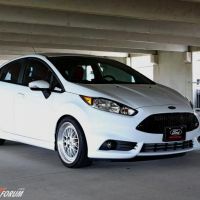 Should we upgrade the Fiesta ST Forum software to Xenforo? Anyone use the FORScan software before?